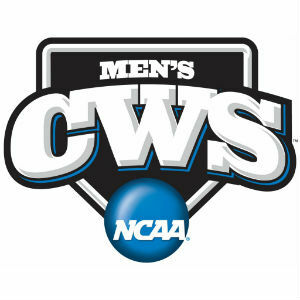 • With the win Arkansas improved its all-time regional record to 49-37. • The meeting marked the first time Arkansas has faced Liberty on the diamond. • Junior starter Chris Oliver struggled in the first two frames issuing four walks, hitting two batters on his way to loading the bases in the second. His second hit batter brought home the game’s first run and gave Liberty a 1-0 lead. • Oliver was able to get out of the jam striking out the side with the bases loaded. • Junior second baseman Brian Anderson leveled the score with his seventh home run of the season over the right field wall to start the bottom half of the second inning. • Oliver’s six walks tied a new career high for the Arkansas right-handed pitcher. • Starter Chris Oliver went 5.0 innings for Arkansas, allowing two earned runs on four hits, while striking out four Liberty hitters. • Junior southpaw Michael Gunn tossed 3.0 innings of relief as the first reliever out of the bullpen, with no runs allowed on one hit and striking out three Flames hitters. The three-inning appearance tied his longest of the year (Florida, March 16). • Closer Jacob Stone came on in the ninth for his third straight save opportunity. The junior closed out the frame for his third consecutive save and fourth of the year. • Arkansas is now 35-1 when leading after eight innings. • The Razorbacks out-hit the Liberty 7-5 on the evening, Arkansas’ record when producing more hits then the opponent is 32-6. • For the third time in the last four games Brian Anderson collected an RBI for Arkansas. • With his two RBI in the game, Anderson posted his 12th multiple RBI games. • Both Andrew Benintendi and Anderson collected a pair of hits for Arkansas. The duo also drove in two runners and scored a pair of runs. • Bobby Wernes’ RBI groundout in the fourth was the sophomore’s first RBI since Arkansas’ May 17 win over Missouri. • Five different Arkansas hitters collected a hit in the contest with just one going for extra bases. • Arkansas did not commit an error, as the Razorbacks’ record improves to 15-7 when playing clean in the field. • The meeting marked the first time the programs have played each other on the diamond. • With the loss Friday night, Liberty moved its all-time regional record to 3-9. • Five of the first eight batters reached base for the Flames, with three reaching via walk, and one apiece on a hit and hit by pitch. The fourth walk loaded the bases for Liberty in the second. • The home run Liberty yielded to Arkansas’ Brian Anderson marked the fifth long ball allowed by senior starter Trey Lambert. • After Anderson’s leadoff home run in the second, Lambert retired the side with three consecutive strikeouts. • The Flames left seven runners on base in the first three innings offensively. • Lambert allowed one hit in the first three innings, but a three-hit fourth frame gave Arkansas two runs and a 3-1 lead. • Liberty pulled within one run when sophomore shortstop Dalton Britt laced a foul ball into left field that was deep enough to score junior Alex Close, for his 35th RBI of the year. • Dalton Britt finished 2-for-4 with a double and driving in one run. Britt is currently riding a six-game hit streak and has reached base in seven consecutive contests. • Trey Lambert went 6.1 innings for the Flames allowing two earned runs on five hits, and striking out five Razorbacks. • Lambert has gone 6.0 innings or better now in 13 of his 16 starts on the season, posting an 11-1 record in those 13 games. • Liberty did not commit an error. Liberty’s record is 17-6 when playing clean in the field. • The Flames stranded a game-high 11 runners on base. • Liberty’s 6-9 hitters went hitless, going a combined 0-for-9 with five strikeouts. • After winning nine straight decisions Lambert is 2-2 in his last five starts.